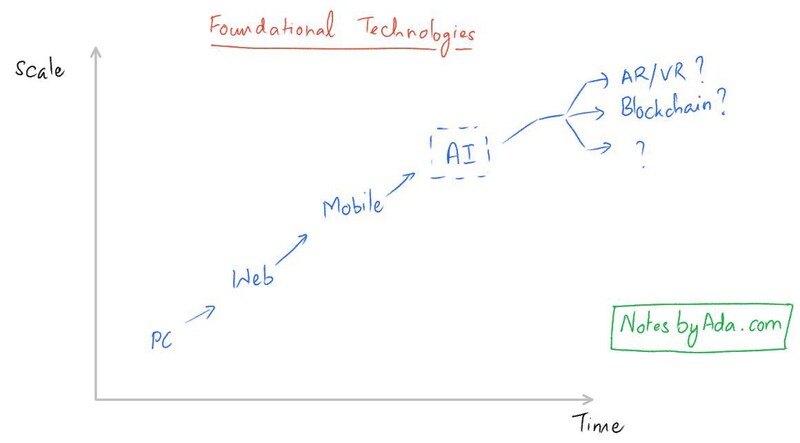 Foundational Technologies: Personal Computers -> Web -> Mobile -> Artificial Intelligence -> ? Every wave goes through adoption and deployment. While adoption may happen over the course of a decade (roughly), deployment can take an additional couple of decades. It is in the deployment phase that we see all the possible applications of the technology. We are still seeing the deployment of the web era with the adoption of cloud computing. And, while mobile has largely gone through adoption, we still have ways to go before we see full deployment. And, AI, of course, is just being adopted. Each foundational technology builds on the previous one. The web began on PC’s and eclipsed it. Mobile scale redefined how we think of widespread technology adoption. And, A.I. will soon become intrinsically woven into the mobile experience and will touch us in many other ways (self driving cars, etc.). Given this, we can rule out smaller innovations like voice, 3D printing or drones as “foundational technologies.” These will be massive markets in their own right (and I hope to write about them in the coming weeks) but they’re not going to match mobile scale (for example). There are 2 technologies that are leading contenders to be the next foundational technology. And, we spent time last week studying one of the them — the Blockchain. But, if I had to place my bet on what comes next, I’d bet on Augmented Reality. While many technology writers talk about augmented reality and virtual reality in the same breath, I’d like to focus today’s note on Augmented Reality alone. The GPU. Like artificial intelligence, mixed reality has been five years away for at least two decades. In both cases, the problem was the lack of raw computing power to make this happen. Again, it was the GPU that made this happen. 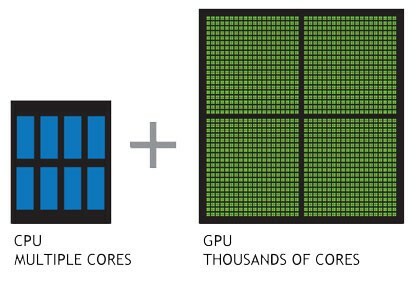 The GPU or Graphics Processing Unit is a much more powerful version of the sequential CPU (Central Processing Unit) due to its ability to parallel process problems. In fact, deep learning and augmented reality are related in that deep learning makes computer vision possible in a way that wasn’t conceivable before. Mobile phone cameras can now identify objects thanks to deep learning. This, turn, means makes it possible for us to overlay information on the object. Just as the transistor is lauded as the breakthrough that made computers possible, in time, it is likely we’ll remember the coming of the GPU in similar vein. The 2 killer use cases. When evaluating any technology, it is important to understand its killer use cases. Mobile’s killer use cases turned out to be photos and messaging, for example. And, I think that there are 2 potential killer use cases for augmented reality. Use case I — Fun and Escapism with Augmented Reality. The gaming industry on mobile is a ~$40B behemoth. There are companies like SuperCell that excel in creative addictive experiences driving lots of in-app purchases. Game creators like SuperCell are sophisticated money-making machines with excellent demand generation, game creation and monetization engines. Given this context, it is telling that the first good application of Augmented Reality on the smartphone was the most successful game in the last year. In fact, as Sensor Tower shows, it isn’t really a contest. 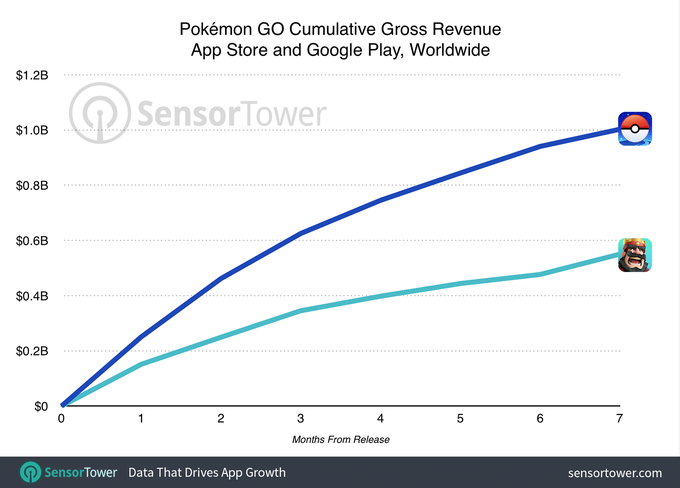 Pokemon GO Is operating at a different level — raking in $1 Billion in its first 7 months. We’re in day 0 of the potential augmented reality revolution. And, when we look back a few decades later, it is likely that we’ll think of Pokemon GO as the phenomenon that signaled the coming of augmented reality. Why do fun and escapism matter? Our need for fun and escapism has proved to be a powerful commercial force. The average human in the US (likely to be similar in many parts of the world) still spends around 5 hours watching television anyway. Add time spent on the likes of Facebook and Snap and we’re likely talking about a fourth of human time spent attempting to have fun and escape day-to-day living. Given the scale of foundational technologies, it isn’t surprising that previous eras have touched all these in a big way. The web and mobile eras shook up consumer advertising and have slowly been chipping away at television. Mobile gaming is the largest segment of the gaming industry at $41B. And, retail continues to evolve. In acknowledging that Facebook were late to making cameras at the center of how sharing works, he effectively gave Evan Spiegel and Snapchat a hat tip. But, in calling this out, he also implicitly made it clear that Facebook continues to have Snap firmly in its sights. This has been all out war and there’s no sign of it stopping. 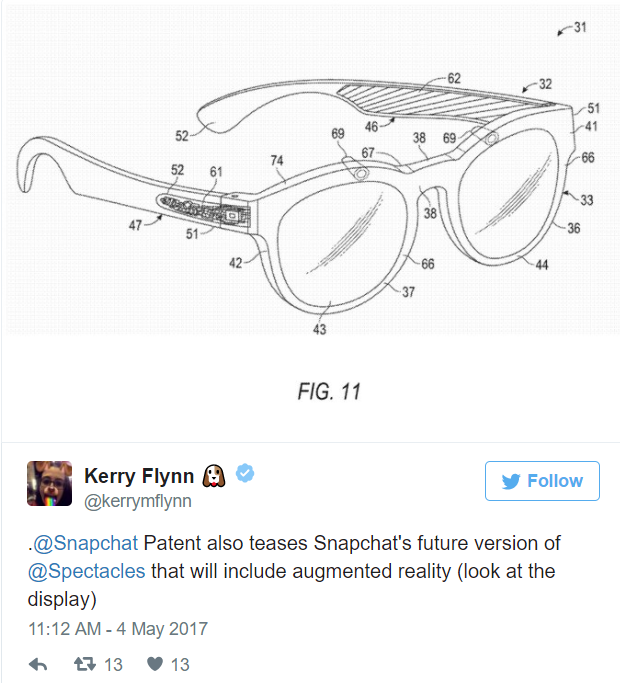 Snap, meanwhile, filed a patent this past week for a future version of its spectacles that make its AR ambitions very clear. This is exactly why Mark Zuckerberg is relentlessly copying Snapchat. Technology giants in the past have typically missed the next wave due to their insistence on preserving their existing business. However, Facebook intends to be the definitive AR giant if the AR wave plays out as we expect it to. 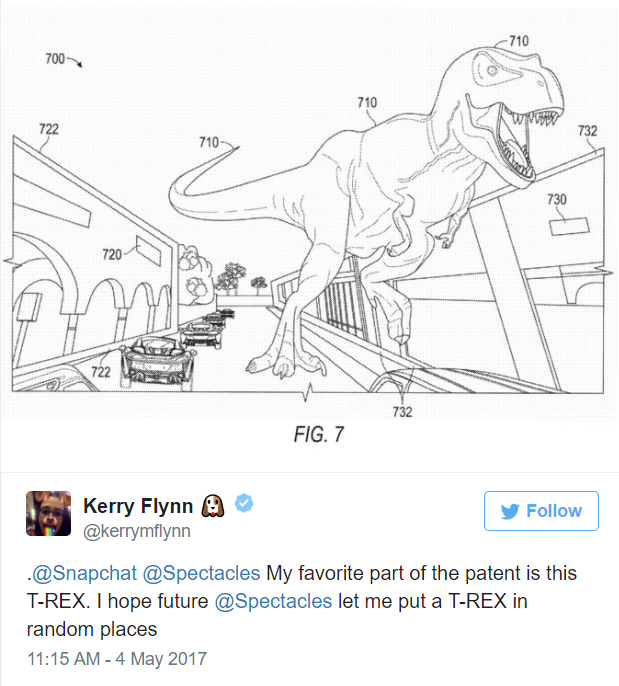 The rest of Snap’s patent gave us a sense of what the spectacles experience might be. This is a classic example of the “fun” use case. The interesting part of the Mark Zuckerberg quote above was his example of adding information to real world objects and possibly adding a buy button. I had 2 reactions to this. First, I’m surprised he referenced the adding information use case as I’d expect Facebook to go after fun and escapism with everything they’ve got (that is their strength after all). Second, my sense is that he might be hinting at a greater focus on retail. Facebook has been making some interesting moves in the past few months — including introducing Facebook Marketplace and more ad formats around shopping (shoppable carousel ads). I wonder if the next play may be to go deeper into retail? That’s a 22 Trillion market with plenty of space for a player like Facebook which has so much of consumer attention anyway. Facebook’s growth (Instagram not included) from ads is likely to slow down in the coming year as they’re slowly reaching the limits of monetizable consumer attention. Retail might just be their next area of focus. Use case II — Information and Insights with Augmented Reality. 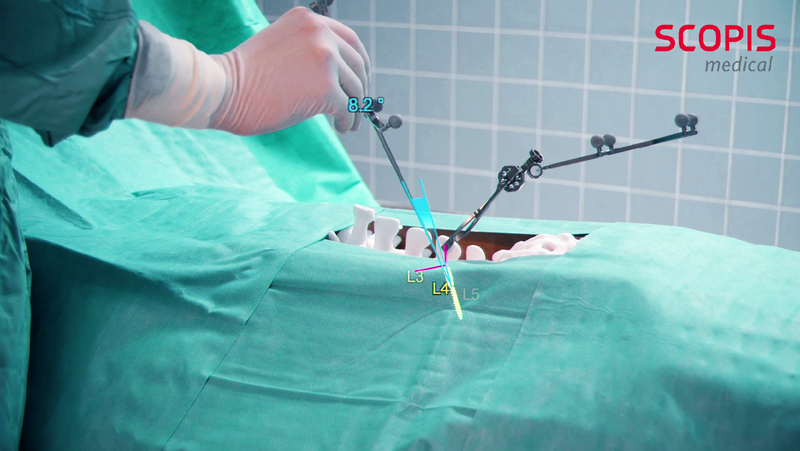 Scopis Medical released an AR solution on Friday to aide spinal surgery with Microsoft HoloLens. This would help overlay information to help doctors get the positioning of “pedicle screws” right. This is a great example of the information and insights use case. AR can overlay information that would help doctors in ways that would have been completely imaginable. 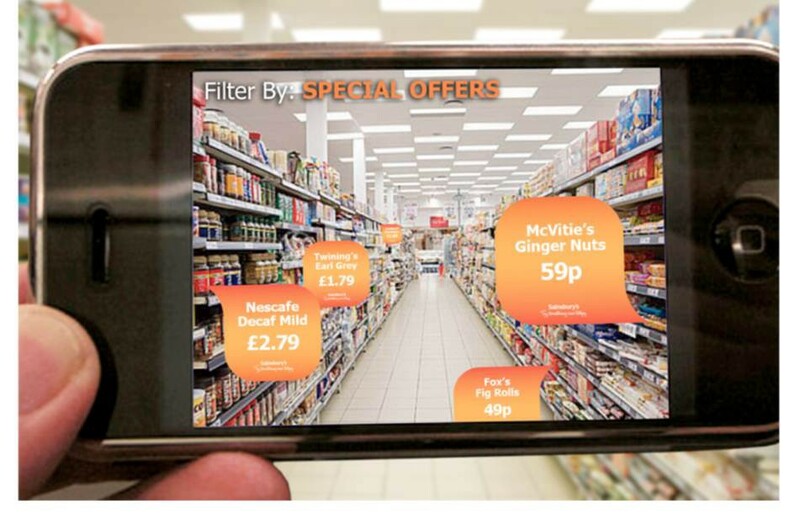 There are many examples of how AR could be used in retail. Here’s an example. As you might imagine, however, there are many such applications. E.g. you could easily imagine going into a store and be able to overlay reviews, competitive product prices, etc. Apple wants in on AR. Apple’s impending patent battle with Imagination, its supplier, is indicative of how important Apple things AR is to its future. Their desire to make their own chip makes a lot of sense. Tim Bajarin had an interesting article on Time where he shared why he is bullish about Apple’s prospects. “Which company will be the first to create an AR platform with mass appeal? My best guess is Apple, given the way it attacks markets with new software platforms that it then uses to sell hardware. Of course, Apple is rarely first to market with emerging technologies, and rivals like Google, Microsoft, Facebook and Amazon won’t be far behind. Being the first mover has plenty of advantages, after all. He makes a compelling case. Apple’s strength is building intuitive devices that its customers love to use. So, its strengths aren’t as suited to the machine learning era compared to a Google, for example. But, they would be very disappointed if they missed out on AR in a big way. Just as we saw all the large technology giants invest heavily into artificial intelligence and deep learning, we’re seeing the same begin to play out around AR. Microsoft is well placed with the Holo Lens, Google has multiple experiments in progress, Amazon is sure to pounce given obvious retail use cases and consumer players like Facebook and Snapchat will aim to be all over the fun use cases. And, despite starting late, Apple has the advantage of having a very loyal iPhone user base thirsty for the next big change. I’ve said this before and will say this again — this is exactly what makes today’s tech giants a formidable force. They have not been afraid to disrupt themselves and have, collectively, been aggressive M&A players. They’re also benefiting from regulation that is rooted in industrial age assumptions (that is a topic for a different time). So, it will be interesting to see who their start-up competitors will be. We know, for sure, there will be some. And, we’re in for a very interesting ride. This is an edition of a weekly technology newsletter called Notes by Ada. If you like this and would like free weekly notes via email, please just subscribe here.